Beacon Platform Inc. Building on decades of experience building trading systems and franchises at some of the largest investment banks in the world, we deliver a world-class enterprise innovation platform, Beacon, to our clients. Beacon is the first platform on the market that delivers the architectural model of investment bank systems like SecDB at Goldman Sachs, Athena at JPMorgan, and Quartz at Bank of America Merrill Lynch to a broad enterprise audience. Beacon delivers an integrated data and financial analytics platform where quants and developers can write and test their code, run their analytics in production, access elastic compute, and build and deploy applications. All transparently tied into the power of cloud computing to reduce fixed infrastructure costs and rent compute only when you need it. The Beacon platform transforms the traditional 'buy-vs-build'​ problem into a 'buy-and-build-on-top-of'​ solution. Unlike any other vendor platform currently on the market, Beacon includes not only powerful end-user trading and risk management applications, but also all the tools our client’s internal developer teams need to build, test, deploy and support new features. Prudential Financial, Inc. (NYSE: PRU), a financial services leader with more than $1.3 trillion of assets under management as of December 31, 2017, has operations in the United States, Asia, Europe, and Latin America. The diverse and talented employees of Prudential Financial, Inc. (PFI) are committed to helping individual and institutional customers grow and protect their wealth through a variety of products and services, including life insurance, annuities, retirement-related services, mutual funds, and investment management. In the U.S., Prudential's iconic Rock symbol has stood for strength, stability, expertise and innovation for more than a century. The Prudential Insurance Company of America (PICA) and Prudential Retirement Insurance and Annuity Company (PRIAC), both wholly owned subsidiaries of PFI, are leading the way in helping all types of defined benefit plans in the United States create a clear path to pension de-risking, regardless of their plan size or funded status. As the largest manager of U.S. pension buy-outs, PICA's and PRIAC's risk transfer solutions combine its core strengths in retirement, insurance and asset management. In addition, PRIAC provides longevity reinsurance to insurers in the United Kingdom. These strategies transfer longevity risk to PRIAC in exchange for reinsurance premiums, and deliver the flexibility U.K. insurers need, along with the added security their clients demand. For its innovative work in the $27 billion BT Pension Scheme transaction, and its continued support and innovation in this important growth area for the pension industry, PFI has been named “Reinsurer of the Year” for the past four consecutive years (2014-2017). 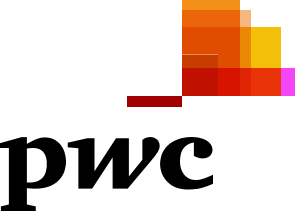 The PricewaterhouseCoopers (PwC) global network provides audit and accounting services in addition to its growing advisory services practice. The advisory services practice aims to provide market-leading solutions for clients’ complex business problems, and to assist clients in meeting their strategic objectives. The PwC global network employs more than 223,000 people through offices in 157 countries. PwC’s Return on Capital Optimization team, led by Jeff Mulholland, advises clients on optimizing their return on capital and thus their stock price given the strong correlation. Strategic decisions (e.g. asset allocation, reinvestment strategy, hedging strategy, reinsurance strategy and M&A strategy) can then be analyzed in the context of their impact on clients’ key performance metrics including return on capital reflecting diversification across businesses. We specialize in optimizing return on capital for pension risk transfer, life, annuity, and long term care businesses. Reinsurance Group of America, Incorporated (RGA), a Fortune 500 company, is among the leading global providers of life reinsurance and financial solutions. Founded in 1973, RGA is recognized for its deep technical expertise in risk and capital management, innovative solutions, and commitment to serving its clients. With headquarters in St. Louis, Missouri, and operations around the world, RGA delivers expert solutions in individual life reinsurance, individual living benefits reinsurance, group reinsurance, health reinsurance, facultative underwriting, product development, and financially motivated reinsurance. To learn more about RGA and its businesses, visit the company’s website at www.rgare.com​. Hannover Re, with gross premium of EUR 17.8 billion, is the third-largest reinsurer in the world. It transacts all lines of property & casualty and life & health reinsurance and is present on all continents with around 3,300 staff. Established in 1966, the Hannover Re Group today has a network of more than 140 subsidiaries, branches and representative offices worldwide. Hannover Re has started the reinsurance of longevity risks already in the last millennium with the introduction of underwritten annuities in the UK. Since then the company has reinsured over EUR 30 billion in longevity business mainly in the UK and Continental Europe and is also very active in North America, Africa and Asia. The Hannover Re Group offers various structures for the transfer of longevity risks whether as a reinsurance treaty or financial instrument. "In a rapidly changing world, with financial risks and a growing need for more creative ways to deal with them constantly, there are opportunities for personal and professional growth." Actuaries are the leading professionals in finding ways to manage financial risks. Understanding how businesses operate, how legislation may have an impact and how financial economics may affect securities are all vital skills for an actuary. Globalization, the integration of financial markets, changing IT environments and market innovation in risk management ensure that the actuarial field of action is becoming more challenging by the day. The Royal Actuarial Association (Koninklijk Actuarieel Genootschap, AG) is the professional association of actuaries and actuarial specialists in the Netherlands. The importance of our platform cannot receive better endorsement than the fact that almost every actuary in the Netherlands is a full member of the association. We regard it as one of our objectives to communicate, inform and be available for our members, stakeholders, supervisory authorities, political institutions and the general public on actuarial matters. Where possible we take initiatives and look for opportunities for cooperation with other stakeholders. For more information we invite you to visit our website www.ag-ai.nl.